Blog Home | We Love Maple Season! The Smith Family Sugar Shack in Cambridgeport, Vt. The four seasons in Vermont are admired for their fantastic beauty. Music, art, and prose are have long sought to do justice to the natural wonders that bless the Green Mountain State. But there is a fifth season in Vermont that is not loved for its scenic beauty. In this space between late winter and not-quite-yet spring, snow clings to the mountains and the nights are still cold. But in the valleys, warmer days turn the well-traveled ground to muddy ruts making daily passage a difficult task. The trees have yet to bud, but signs of spring begin to poke through the stubborn soil. The cynical among us call this Mud Season, but the more hopeful look forward to these weeks as Maple Season. 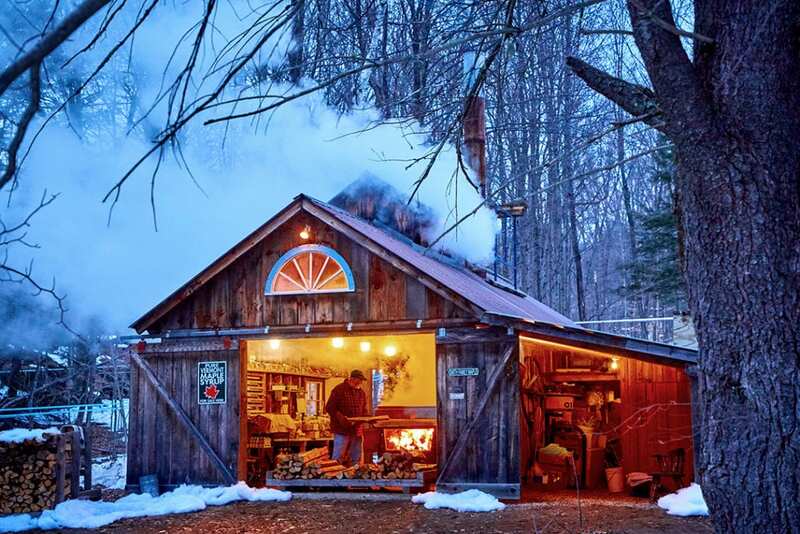 At this time, tucked in the woods all over our state, hundreds of maple sugar makers are firing up their boilers in anticipation that the sugar maple trees will begin to awaken, releasing sap to run from their roots to their branches. 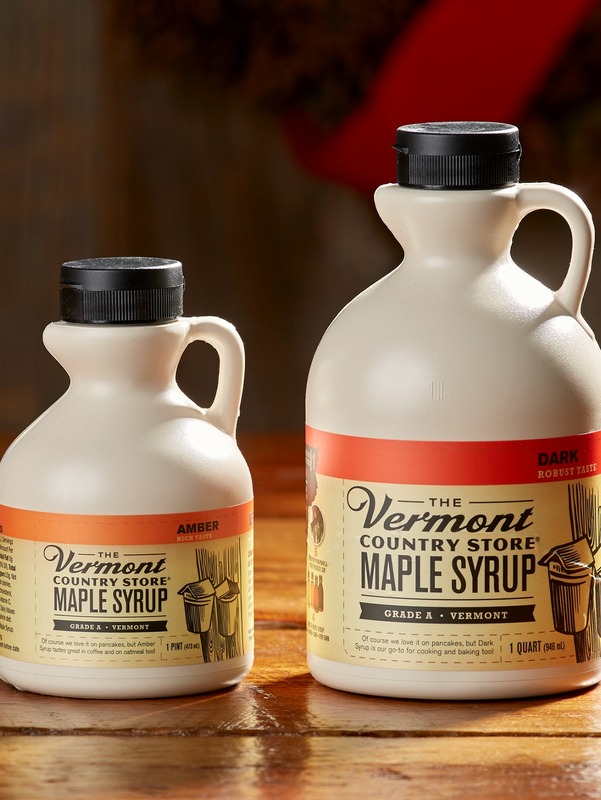 The making of maple syrup is a time-honored tradition in Vermont. For most producers, it’s is a true labor of love they pass down from generation to generation. The majority of sugar houses are still family owned. They make just enough maple syrup for themselves and their friends until the next year. Just like they did hundreds of years ago, these folks are still boiling sap down over a wood fire, handcrafted to ensure the finest quality. The process of making maple syrup is still largely the same it has always has been, and just as laborious. Sap is still collected by hand. Some continue to collect sap in metal buckets hanging from spouts tapped into the trees, while others connect their taps to a maze of plastic tubing that feeds downhill to large collection tanks. Either way, the syrup must be hauled back to the sugar house. Long ago, farmers drove teams of horses through the woods to carry their load. These days, sap is more likely to be hauled by tractor or truck. Once back at the sugar house, the sap must still be boiled, with 40 gallons needed to make just one gallon of syrup. In some quarters, they use higher tech evaporating equipment with greater capacities and more automation. Those making syrup the old fashioned way rely on their skills as artisans, tending the wood fire and taking great care and attention hour after hour to be sure the color and consistency of the maple syrup is just right. What’s wonderful about maple is that it’s made to be shared. That means the season can mean as much to Vermonters and visitors who enjoy tasting, rather than making. 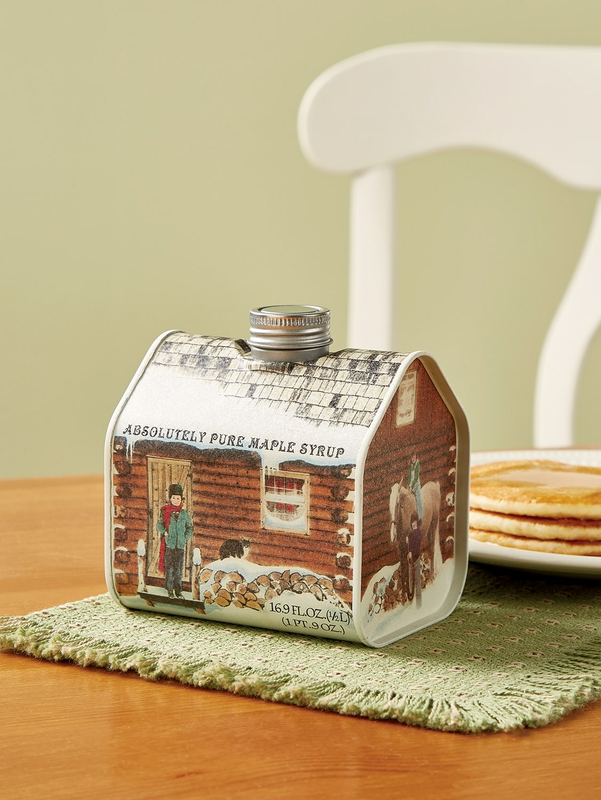 Pancake breakfasts featuring the first run of maple syrup are a popular way for friends and neighbors to gather, often for the first time since the holidays. 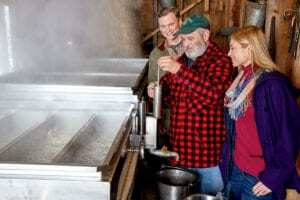 If you’re in the neighborhood, March brings a fun Maple Open House Weekend, sponsored by the Vermont Maple Sugar Makers Association. Vermonters and visitors from all over are welcome to stop at any of their members’ sugar houses, and watch maple syrup being made before their eyes. Find out more information at http://vermontmaple.org/openhouse. This really is a great time of year in Vermont. You’ll see — and eat — more Vermont flavor than in the warmer months, and without all of the crowds. We’ll look forward to seeing you, and we’ll have the maple ready when you get here! 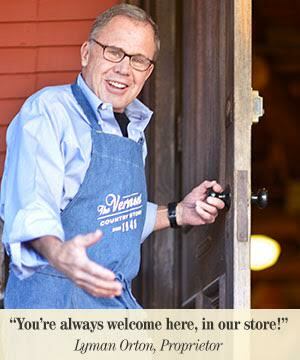 Posted in Discover Vermont, Food and Drink, Seasonal Activities. 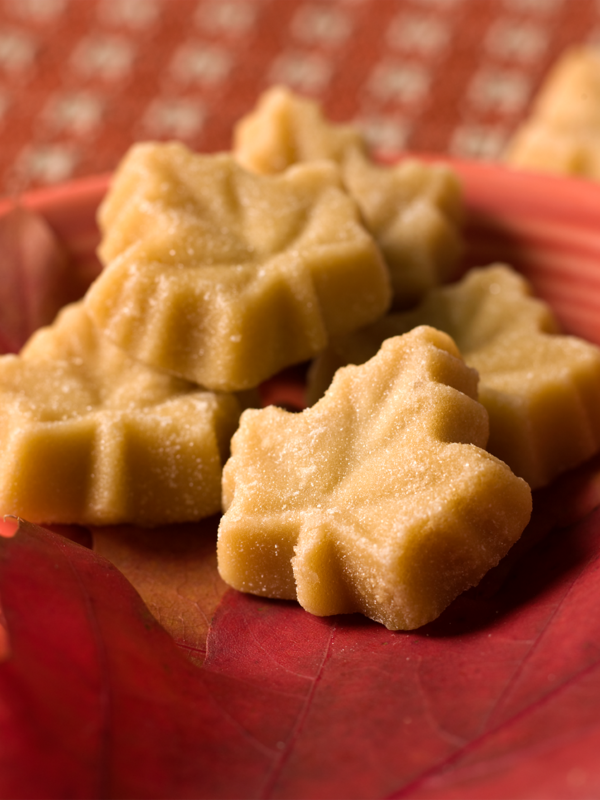 Crystalline Maple Sugar Candies, Made With Vermont Maple Syrup and Nothing Else!